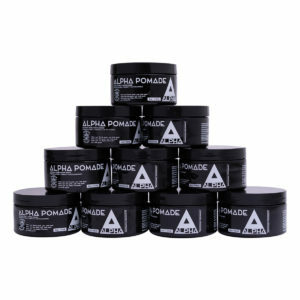 Everything there is to love about pomade is in ALPHA POMADE! 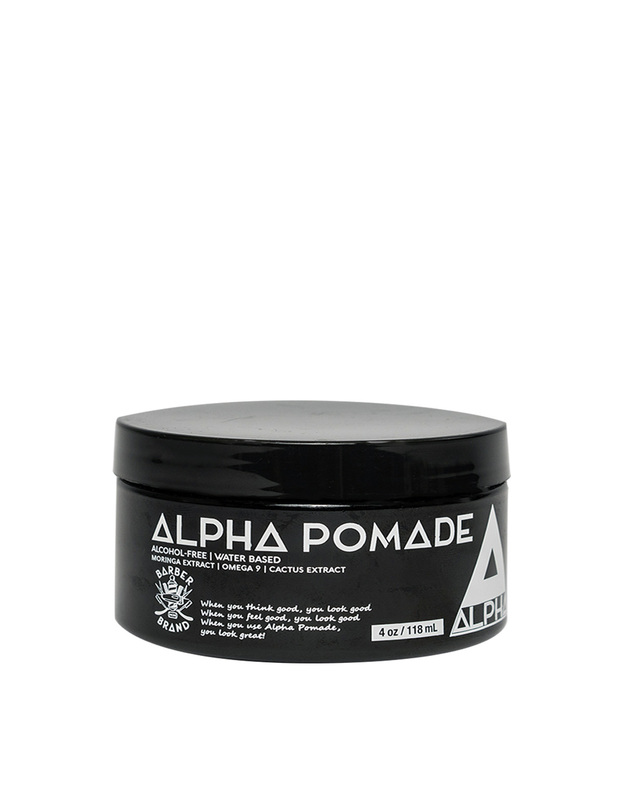 ALPHA POMADE allows you to have complete control over the way you style your hair. 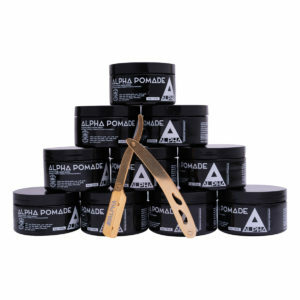 It has the perfect consistency to hold and finish the desired look. 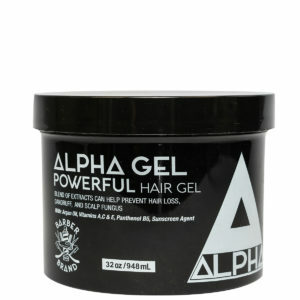 DIRECTIONS: Apply a small amount onto palms of hands, rub hands together and massage throughout your hair until you achieve the look desired. 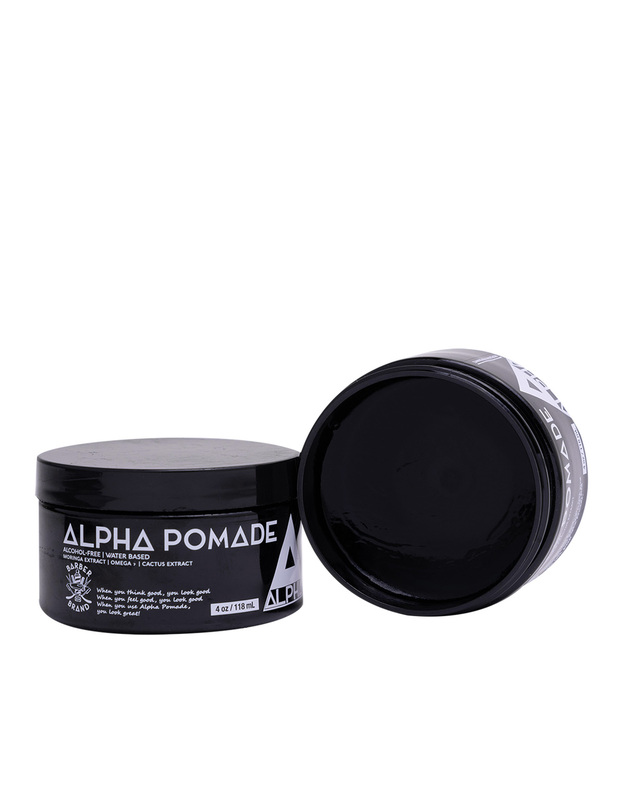 To re-comb hair just add a bit of water and pomade will revive. 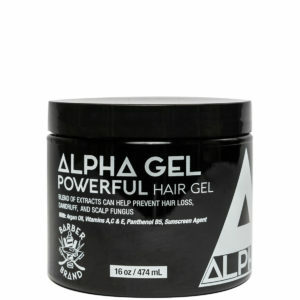 INGREDIENTS: Water, Glycerin, PEG-40 Hydrogenated Castor Oil, Polysorbate-20, PVP, Keratin Amino Acid, Allium Cepa (Onion) Extract, Apuntia Vulgaris (Nopal) Extract, Allium Sativum (Garlic) Extract, Capsicum Annuum (Chili Pepper) Extracts, Tocopheryl Acetate (Vitamin E), Retinyl Palmitate (Vitamin A), Ascorbic Acid (Vitamin C), Folic Acid (Vitamin B9), Pantherol (Vitamin B12), Moringa Oleifera Seed Oil, Omega 9, Aloe Barbadensis Leaf Juice, Panax Ginseng Root Extract, Ginkgo Biloba Leaf Extract, Amodimethicone, Hydrolyzed Wheat Protein, Hydrolyzed Soy Protein, Simmondsia Chinesis (Jojoba) Seed Oil, Polyquatemium 37, Benzophene-4 (Sunscreen Agent), Ethyhexlyglycerin, Phenpxyethanol, Fragrance (Parfum).